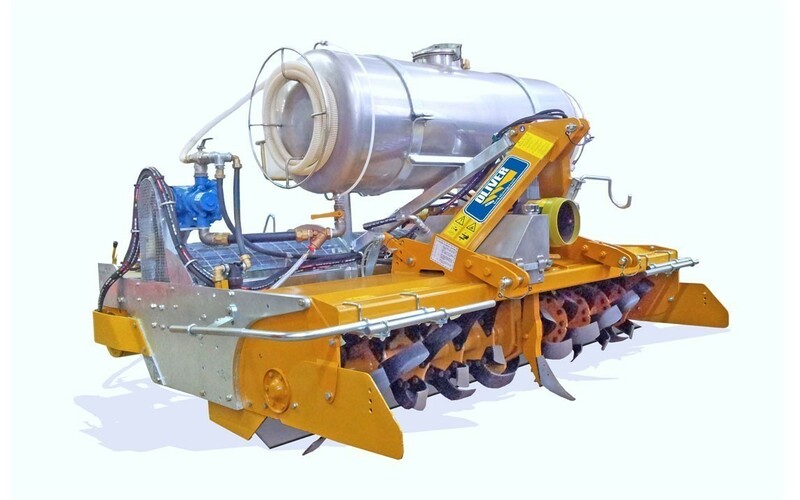 BRAVA 2003 is a soil fumigation machine for fumigants liquids. 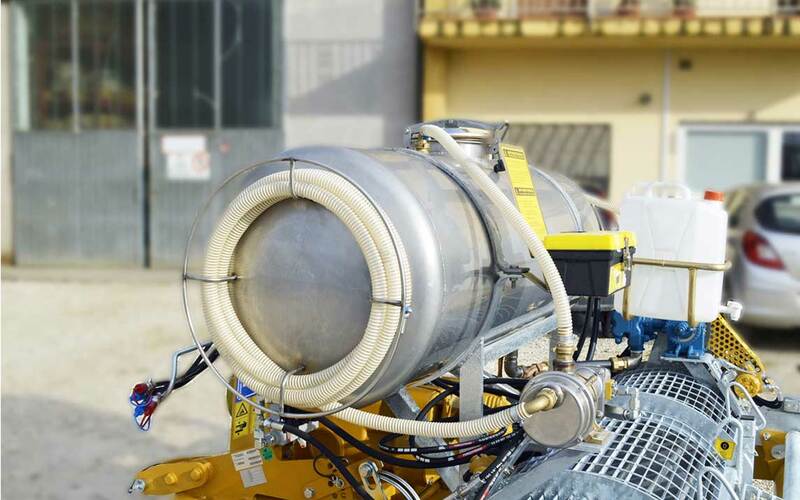 Designed to have a better and more uniform distribution of the fumigant along the entire profile of the ground, obtaining a decidedly superior processing. 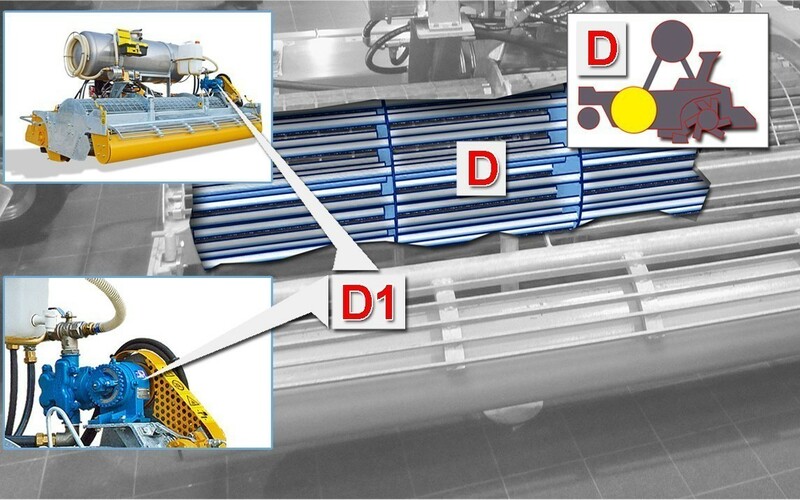 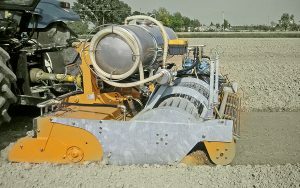 –Milling machine (2), with the purpose of locating and mixing the product in the ground, followed by a compact ground cage roller (3), and finally by a motorized smoothing roller (4) which better seals and compacts the soil. 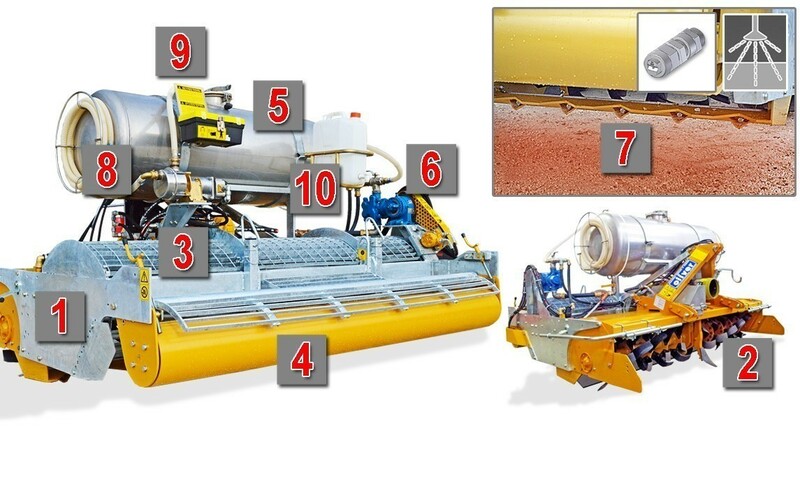 Completing the outfitting is the stainless steel product tank (5), the CDS-John Blue variable displacement pump LM 2455 (6), a series of anti-drop (7), the stainless steel transfer pump (8), box manual door (9) (inside we find the instruction manual) and handwash tank (10). 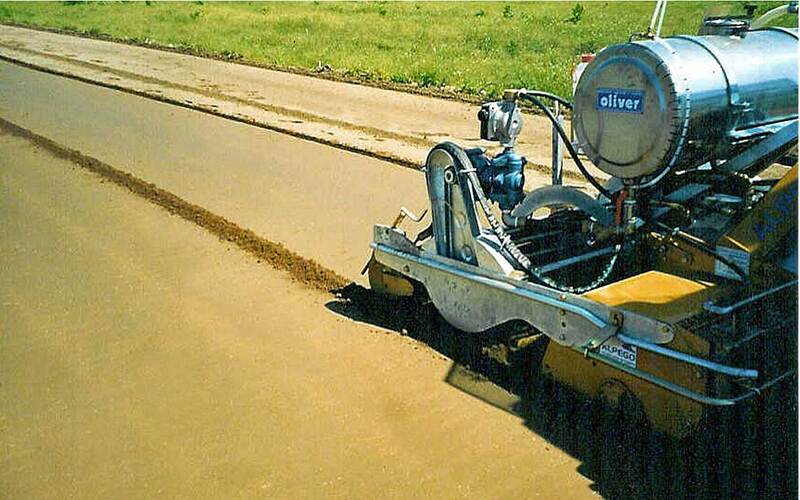 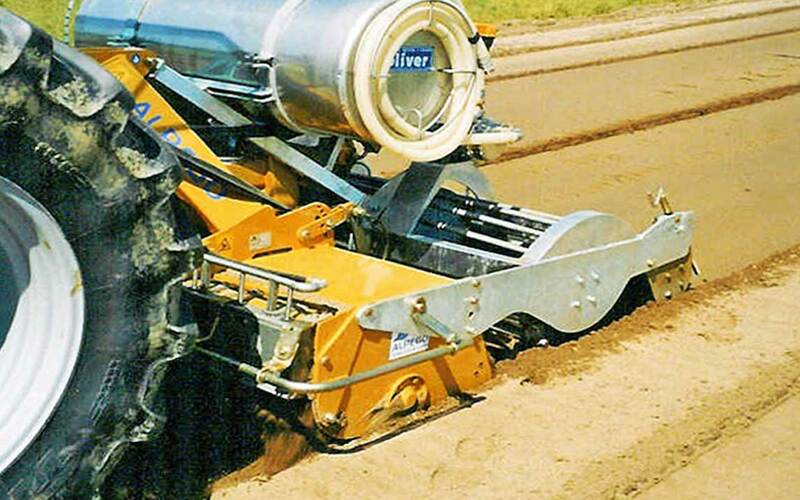 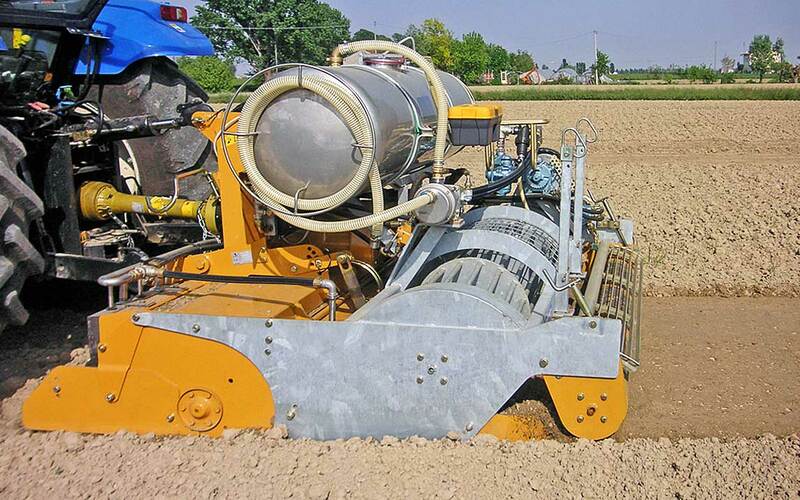 The mixing phase of the product in the ground takes place with an innovative milling machine (A). 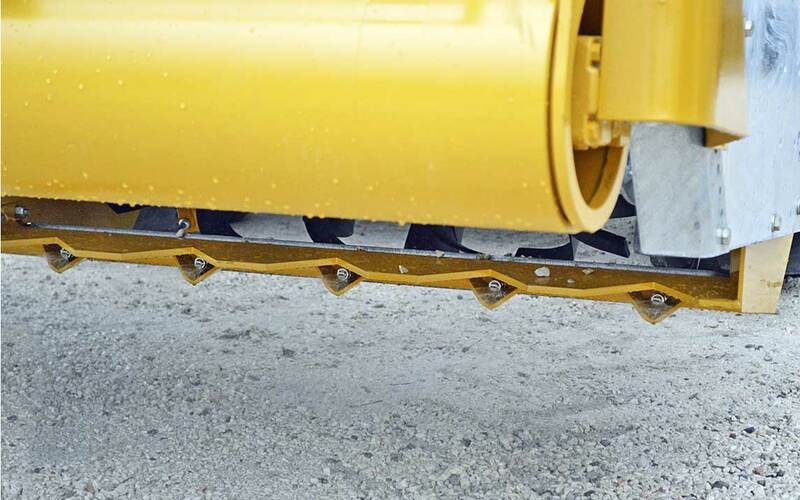 In fact, it is equipped with a rotor that is moved thanks to a central bevel gear (A1), at variable speed thanks to a 4-speed gearbox, giving the motion also to the side rotors (the latters supplied with N° 6 knives (A2) for each flange) that can thus reach a depth of 15-22 cm. 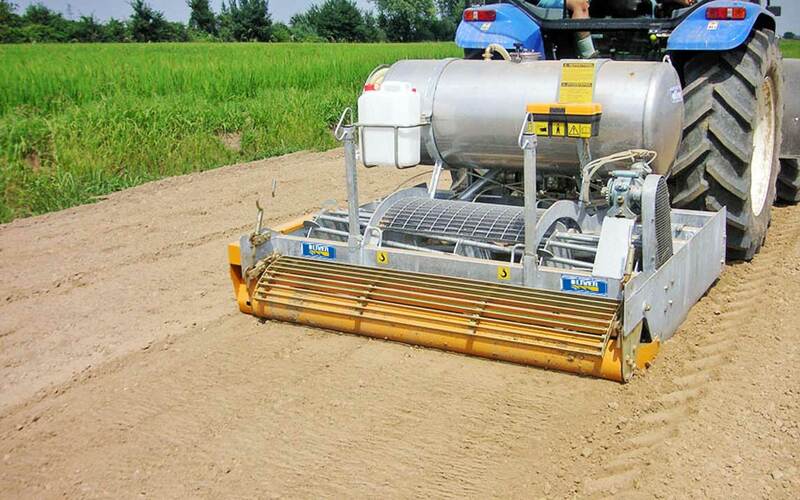 They also make it possible to keep both the tractor rpm and the engaged power low, ensuring better mixing. 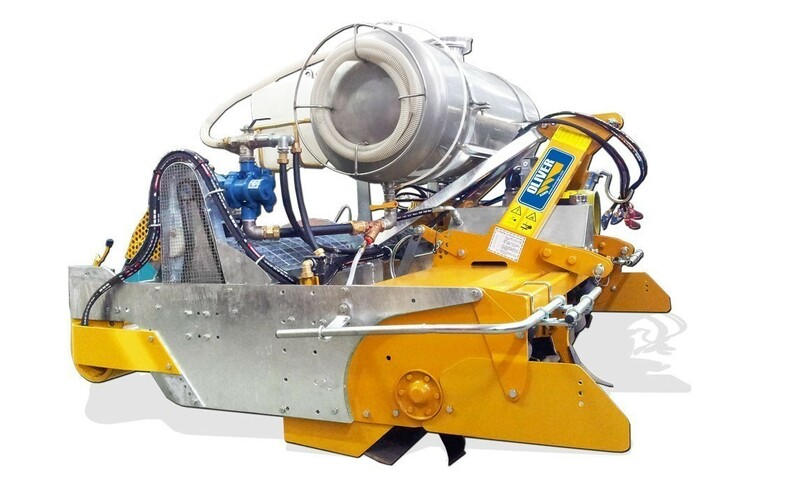 Equipped with a stainless steel pump (B1) for the product transfer, fixed on the machine and used to wash the tank itself. 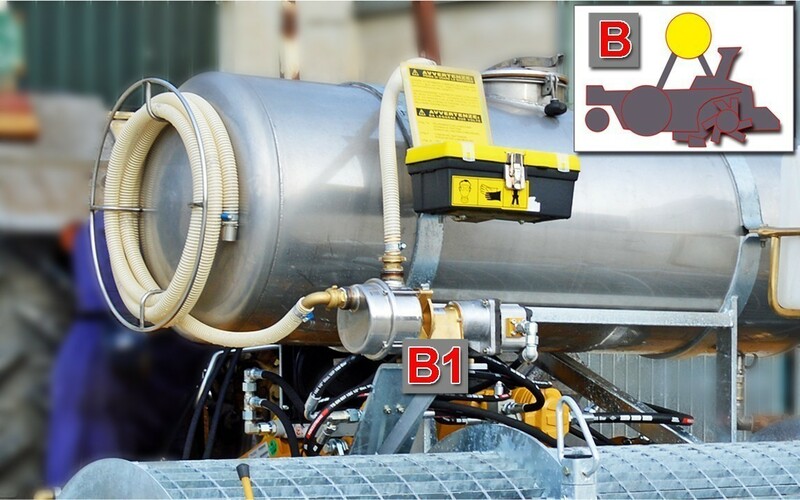 The compact structure of the BRAVA 2003, allows the localization of the fumigant solution in the front area, where the liquid product is delivered by means of a stainless steel distribution system (C), which consists of N °10 nozzles (C1) , which spray (C2) at a pressure that varies according to the quantity of product supplied (about 1-2 atm), going to cover the whole surface to be treated. 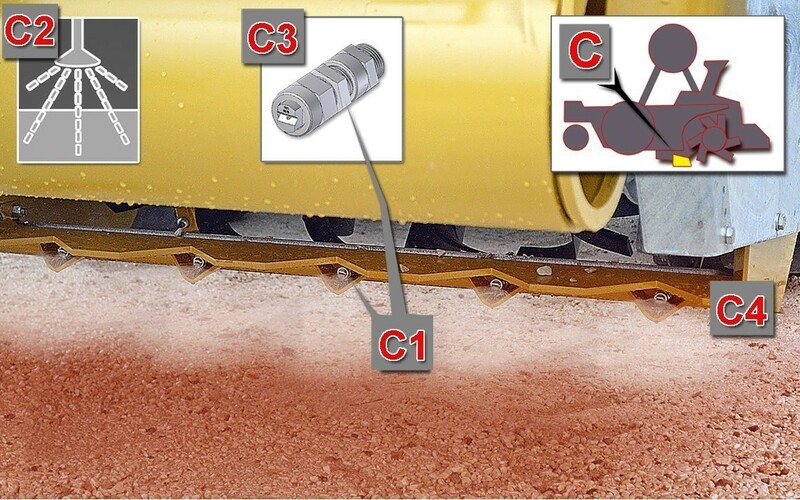 When the machine is lifted from the tractor, the anti-drop (C3) stops the flow of product so as to avoid unnecessary losses. 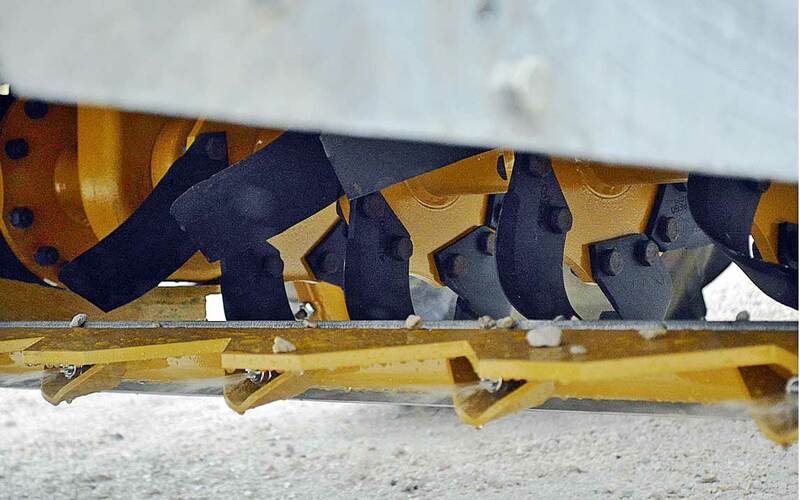 They will reopen when the tractor will start a further pass. 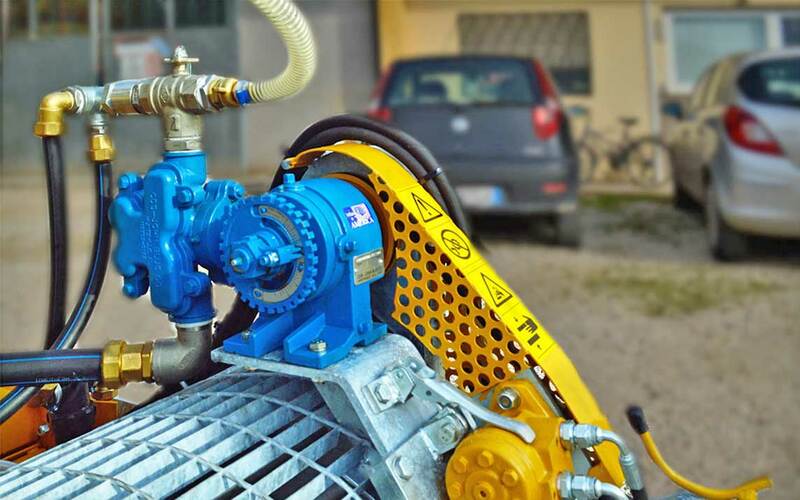 The plant is shielded with a special welded sheet metal roof structure (C4) and is powered by the pump CDS – JOHN BLUE LM 2455 with variable flow, which regulates the dosage. 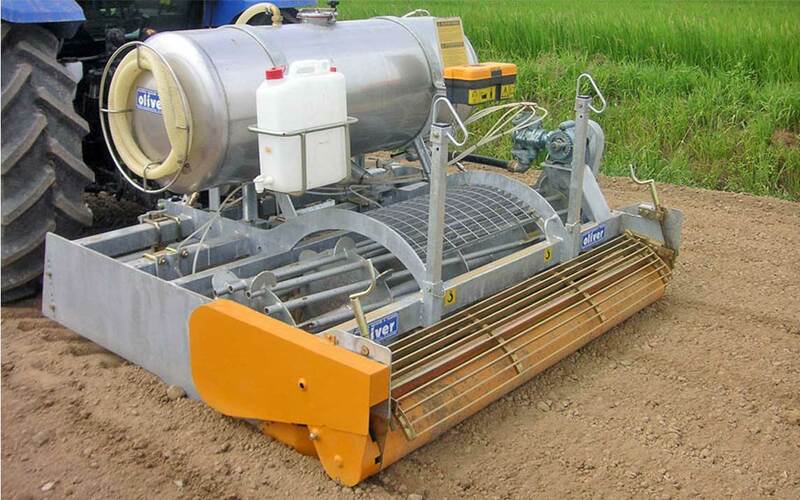 – Drives the motion of the pump CDS – JOHN BLUE LM 2455 (D1) . 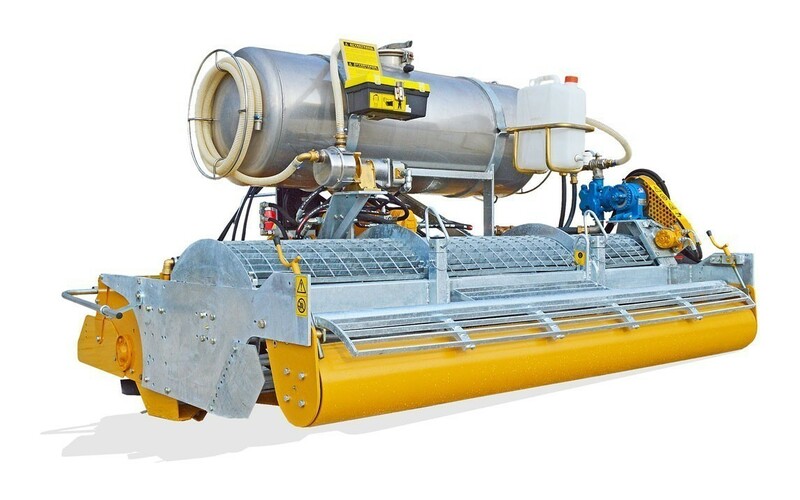 The variable volumetric pump CDS – John Blue 2455 (D1), is able to deliver from 0 to 90 Lt mp, regardless of the feed speed, and is connected to the tank with stainless steel fittings and pipes, suction and transfer filters. 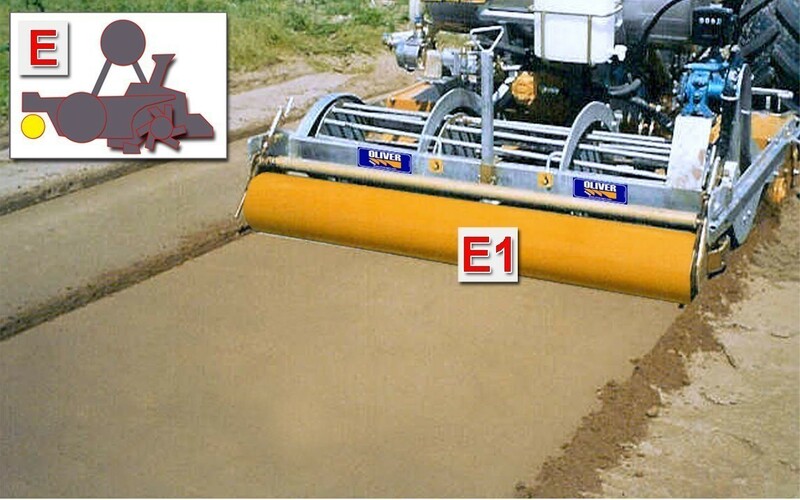 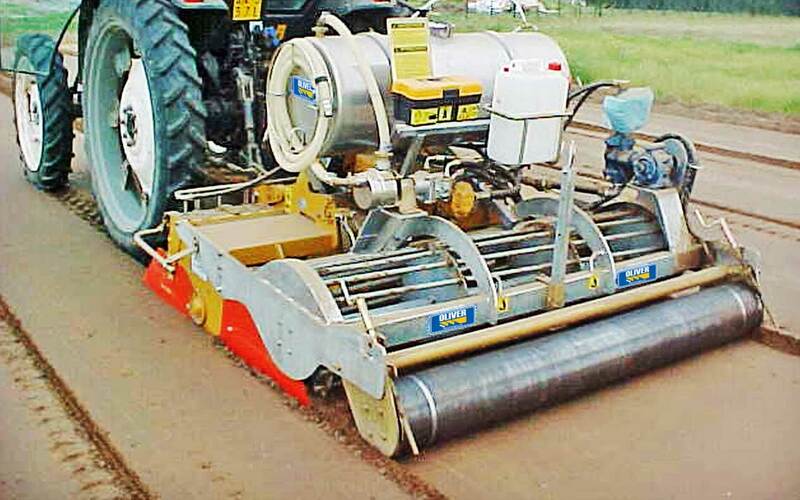 It takes place through the “Smooth rear roller” (E1), driven by an adjustable hydraulic motor according to the type of soil. 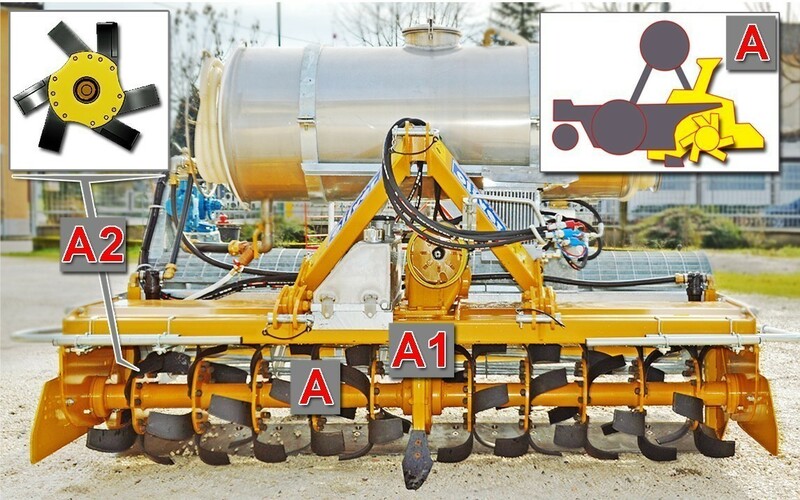 This further 2-3 cm compaction makes the surface as a “mirror” and hermetically closes the soil, ensuring a perfect seal of the fumigant gas and drastically reducing the fumigant gasification losses.